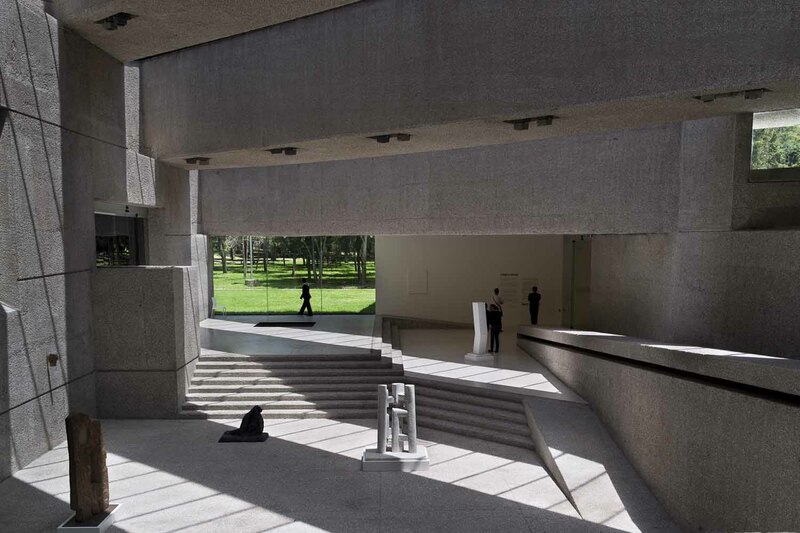 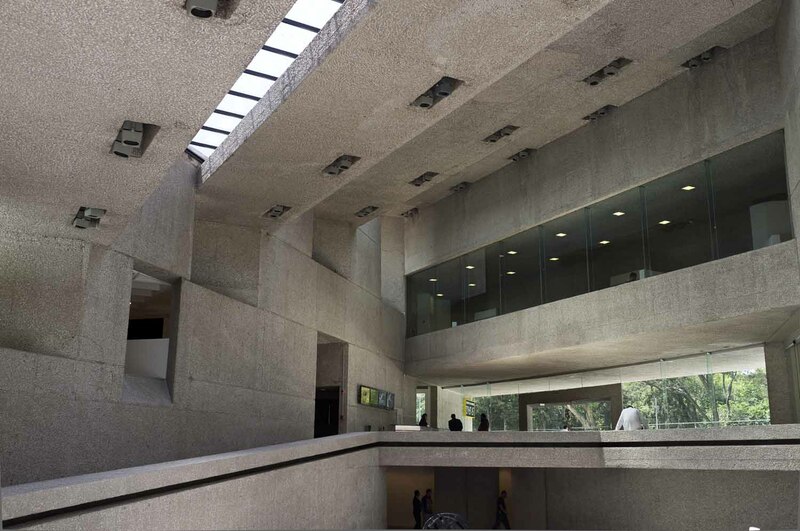 From the Museo Tamayo website: Rufino Tamayo wanted the museum to house his collection of international art in the Bosque de Chapultepec . 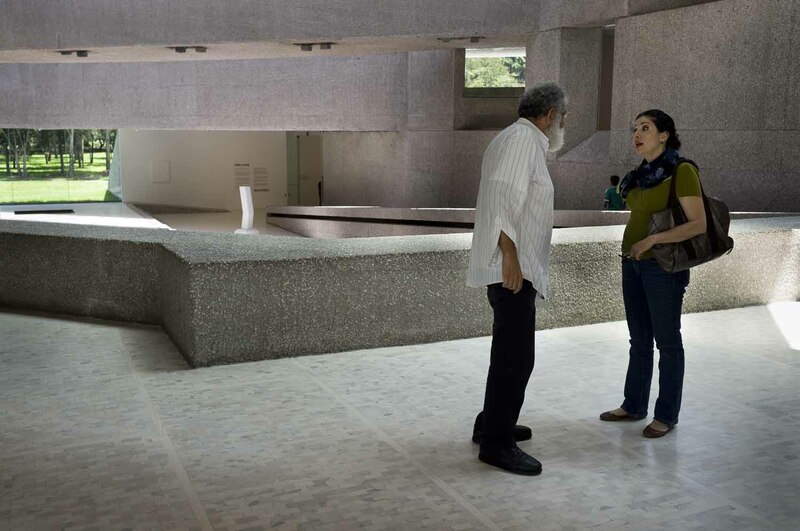 Once the government of Mexico City authorized giving part of the forest land, previously Azteca Golf Course, the artist summoned the Mexican architect Teodoro González de León and Abraham Zabludovsky to design the building. 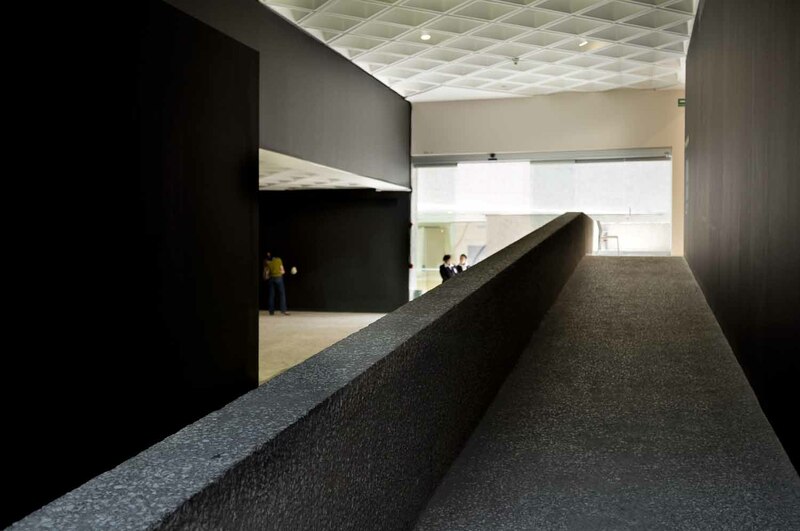 The architects conducted an intensive research process that among other things included the visit of museums around the world. 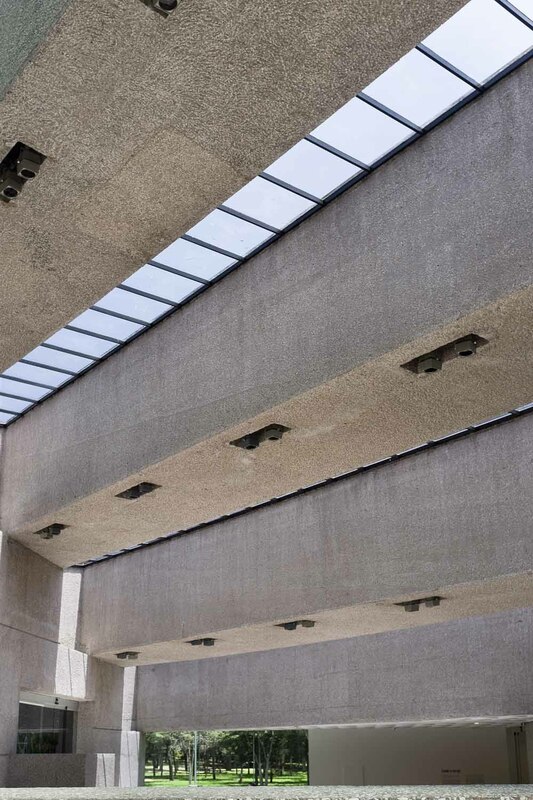 Design began in 1972, construction began in 1979 and ended two years later. 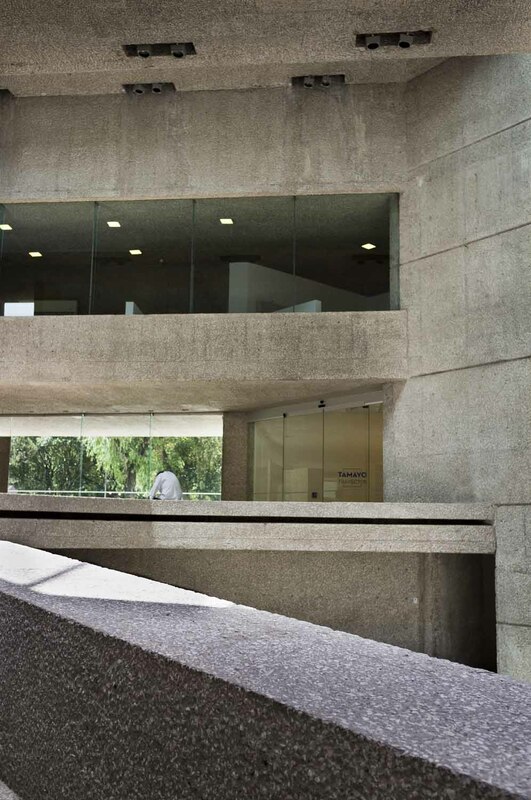 The result: a building, both by the particularities of its design and functional solutions that integrates visual and ​​worthy of the National Prize of Arts and Sciences in the “Fine Arts” in 1982 . 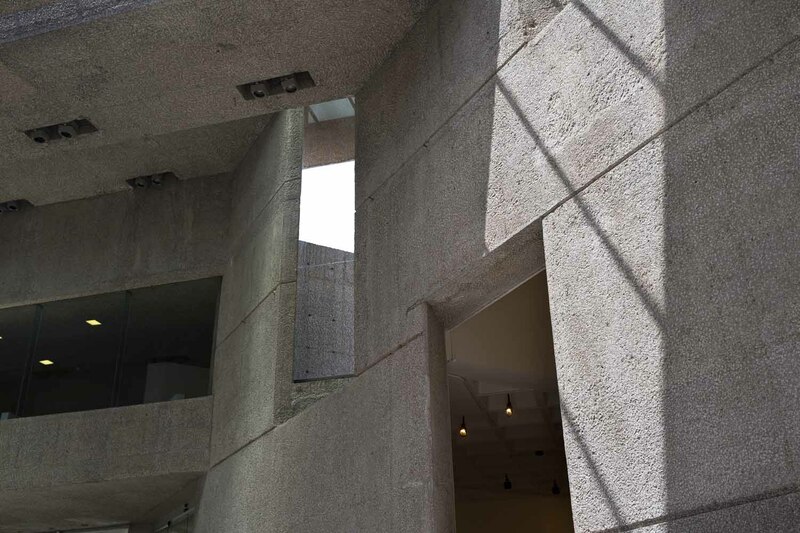 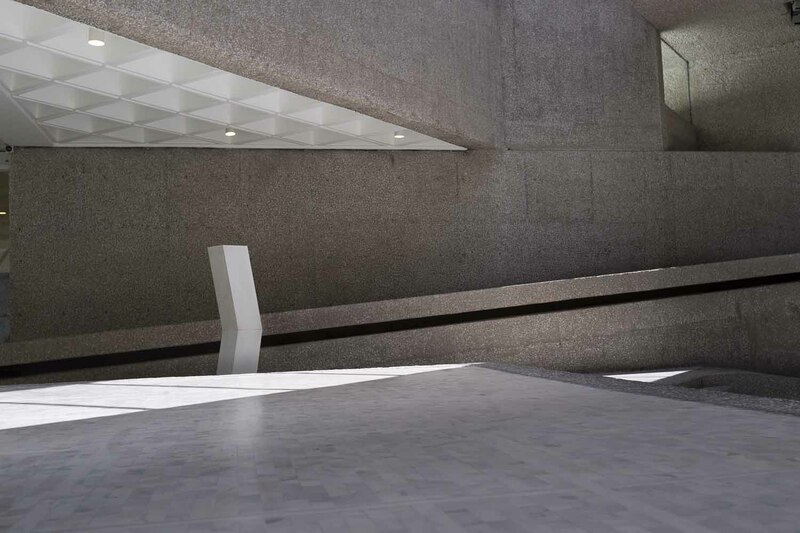 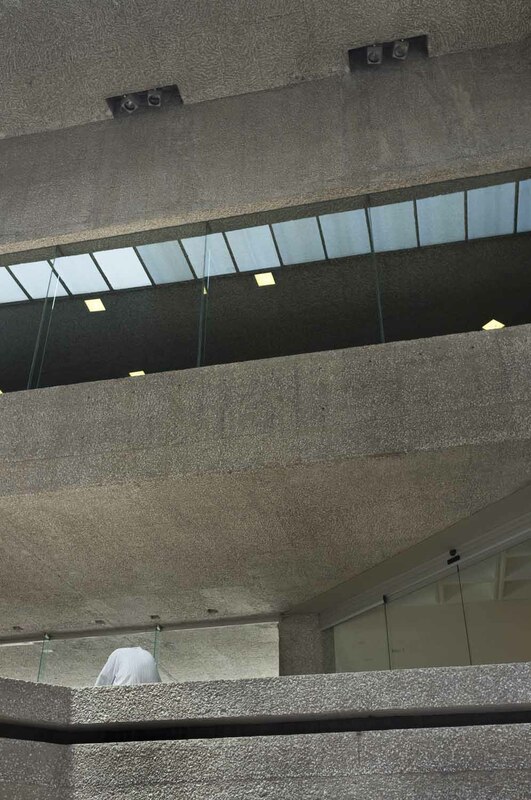 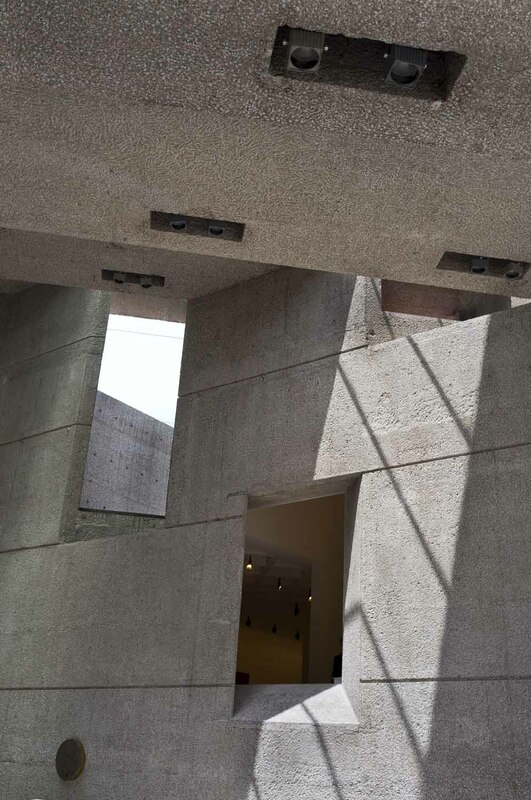 Regarded as one of the few examples of contemporary architecture in Mexico from its original museum remit, the building is incorporated harmoniously into the environment with its pyramidal shape, which refers to the pre-Hispanic architectural heritage. 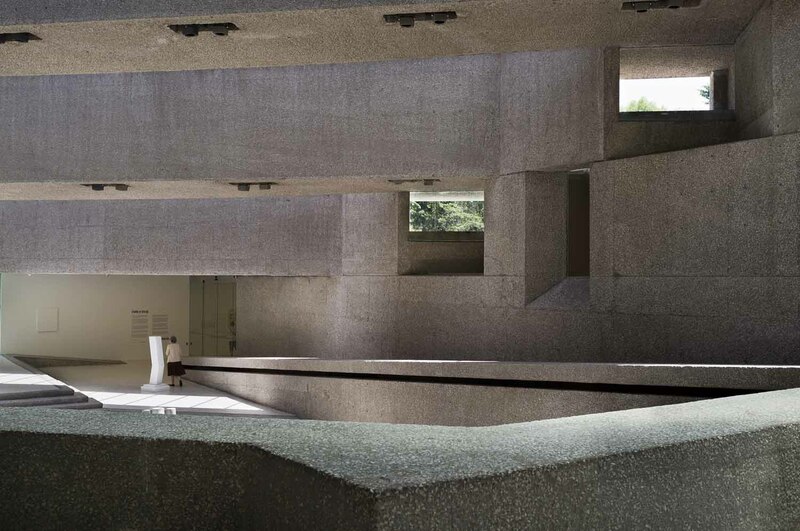 The building is not a body that invades the forest but joins the surrounding terrain under its multilevel structure that focuses itself in concrete volumes staggered blind to the center, to give the impression that the building springs from the ground. 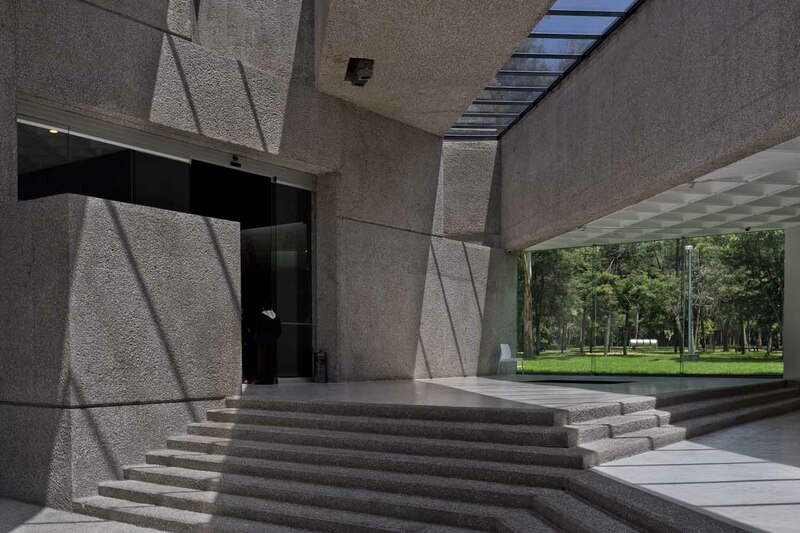 To achieve this integration, the architects incorporated vegetated slopes (slopes), which are an essential part of the composition and establish the relationship of the building to the Bosque de Chapultepec.